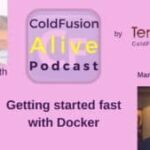 Mark Drew talks about “Planning for CFML ISP disaster (Commandbox and Docker to the rescue)” in this episode of ColdFusion Alive podcast with host Michaela Light. Challenge, a current client was planning for Disaster Recovery environments but disaster nearly struck due to the requirement of the ISP to move the servers! Temporal variations in requirements. ASide from busy seasons we have Weekends! Range of different machines such as windows , linux, PHP, Java and even InDesign running batch scripts. Service Url for health of the app. WWIT for you to make CFML more alive this year? What are you looking forward to at ITB? Mark Drew has been programming CFML since 1996, and even though he has had forays into Perl, ASP and PHP he is still loving every line of code he has crafted with CFML. 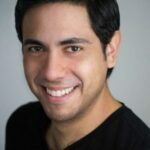 His career has concentrated on eCommerce, Content Management and Application Scalability for various well known brands in the UK market such as Jaeger, Hackett, Hobbs, Dyson, B&W, Diesel amongst others. 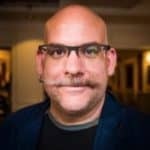 So today we're looking at how CFS can get started fast with Docker and we're going to look at what a Docker container is and why everyone listening should care about that the challenges they overcome Docker versus vagrant, even controversially, our traditional I ISP, he's going to go away if Docker gets its way and how they compare the virtual machines. How you can get started with the Docker engine. 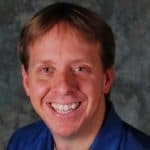 ← Previous Post Is Control Better than Speed for your ColdFusion Apps?